Standard Shipping: usually 7-15 business days. But there is no such option for us to choose in Amazon's System but "17-28 days". So you will find the Estimated Delivery Date too long. In fact it is not ture. Most of our customers receive their package in 5 - 10 business days. You can check it in our feedback. Features: Comb size 4.5*10.5*4 cm, handle length 10 cm. 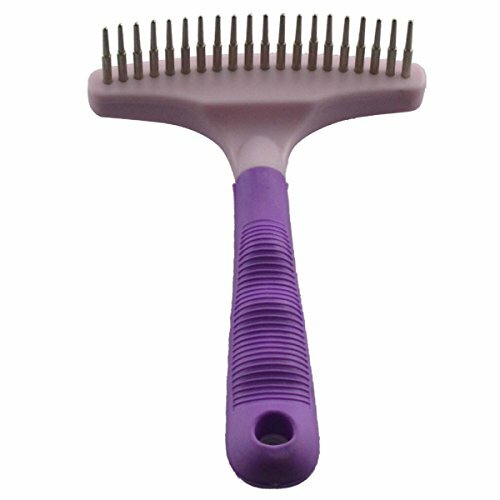 Use as a comb / brush for pet dog or cat, removes tangles, dirts, loose hairs and mats. Makes your pet looks tidy and clean. Other Features: Plastic handle. Ergonomic design. If you have any questions about this product by Dogloveit, contact us by completing and submitting the form below. If you are looking for a specif part number, please include it with your message.